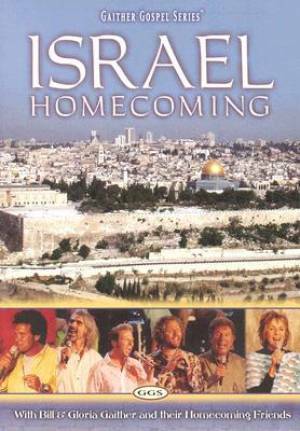 Israel Homecoming DVD is part of the Gaither Gospel Homecoming DVD series. The DVD includes 25 songs, including Easter Song, I Have Returned, Go Ask, and Because he Lives. The Gaithers are in Israel- the Holy City of God- for a concert at David's Citadel. The DVD covers inspiring songs set at scenery wheere Jesus walked and lived. It is a moving Gospel DVD which is a must for any Gaither fan! Israel Homecoming by Gaither Gospel Series was published by Gaither in March 2005 and is our 5943rd best seller. The ISBN for Israel Homecoming is 0617884461997. This was the first of the Gaither Homecoming series I bought and it is really wonderful. The setting in the Holy Land lends a perfect backcloth to the music and worship style of the Gaithers and the atmosphere is something heavenly. The message of these songs is challenging. Got a question? No problem! Just click here to ask us about Israel Homecoming. What region is the Israel Homecoming DVD? A:The Israel Homecoming DVD is produced in multi-region format and will play on all standard UK machines.